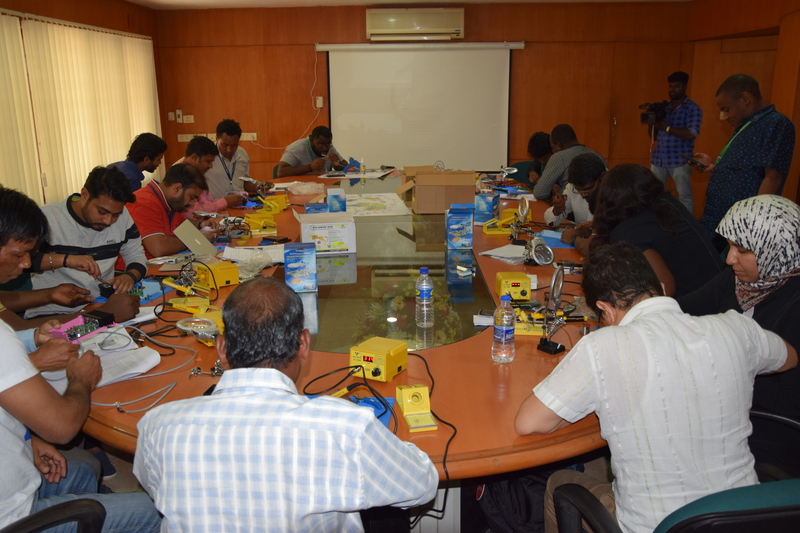 In December 2018, the Wind Empowerment Association organized an 8-day training course on small scale wind electric systems, in collaboration with the Indian National Wind Energy Institute (NIWE) in Chennai, Tamil Nadu. 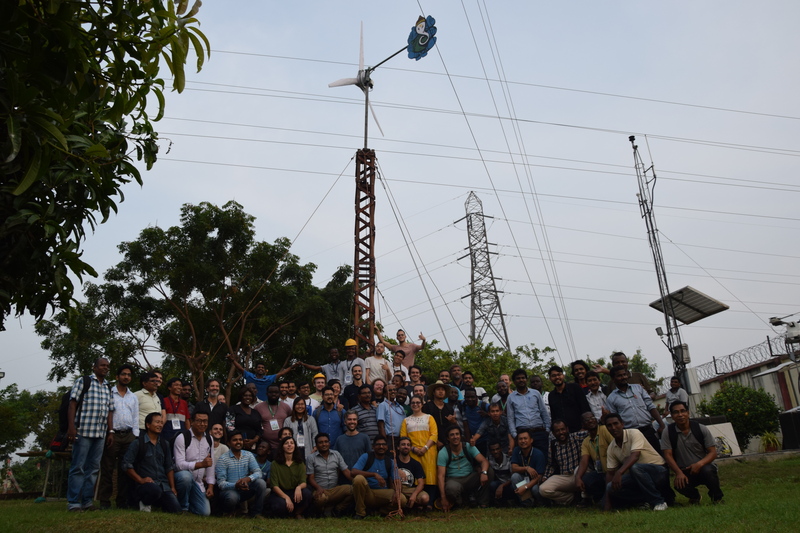 The majority of the 100 course participants were employees of state energy companies from developing countries in Africa, Asia and South America, while several other participants were employees of Indian renewable energy companies or NGOs and representatives of Indian educational institutions, such as universities and colleges. The educational sessions span over a wide range of wind energy applications with both practical workshops and theoretical presentations. The Wind Empowerment Association gathered a team of 15 international experts to act as trainers and deliver the courses. 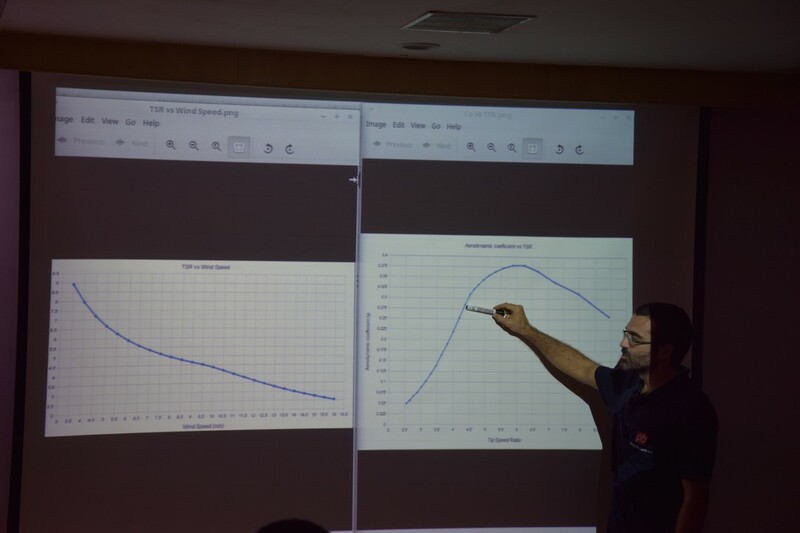 Two members of the Rural Electrification Research Group of Smart Rue were part of the international team and delivered both practical and theoretical sessions on wind turbine manufacturing, axial flux permanent magnet generator design, data logging and power electronics. 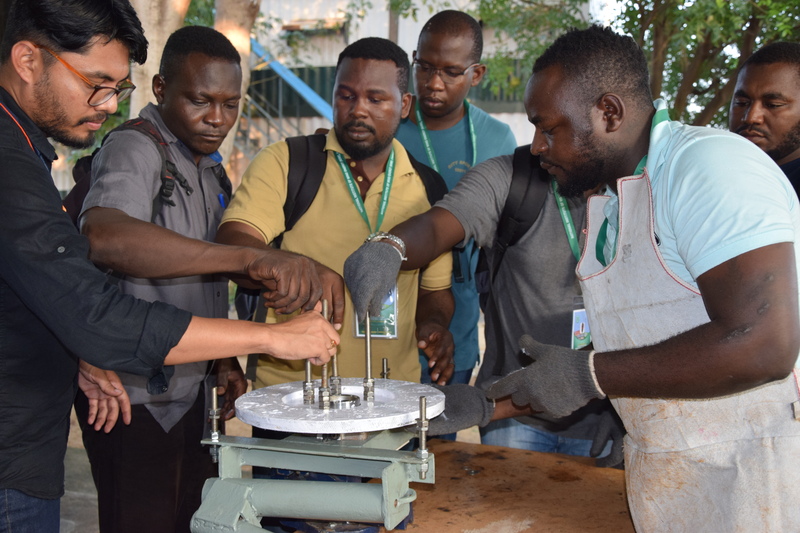 During the practical workshops hosted at NIWE’s workshop and conference areas, the participants were guided by Wind Empowerment trainers to construct all parts of a 3m rotor diameter small wind turbine, from wooden and fiber glass blades and generator, to tower and electronics for data logging and power conversion. More photos of the wind turbine manufacturing process can be seen here. Highlights of the practical hands-on workshops consisted of the construction of a wooden lattice tower, fiberglass blades using several techniques like vacuum and fiberglass moulding, test benching of a water pumping system, manufacture and bench testing of an open source ans low cost electronic charge controller, manufacture and bench testing of an open source and low cost data logger and the development of modular power electronic components. The manufactured equipment were then assembled, bench tested during the course and then installed and field tested at NIWE’s Wind Turbine Test Site. Theoretical presentations included market assessment methodologies, small wind turbine design, hybrid PV/wind off-grid system design and productive uses of electricity in rural areas.